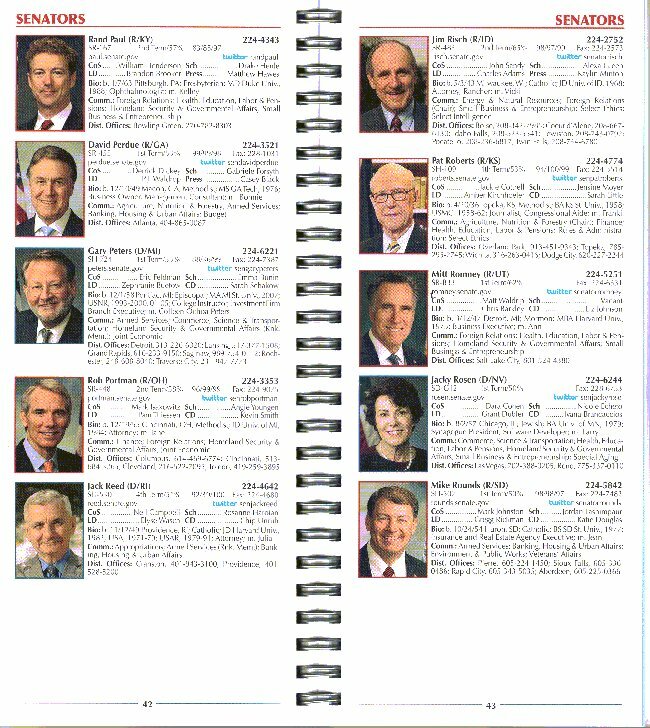 This comprehensive directory lists members of the US Senate and House of Representatives, complete with color photos and a fold-out map of Capitol Hill. 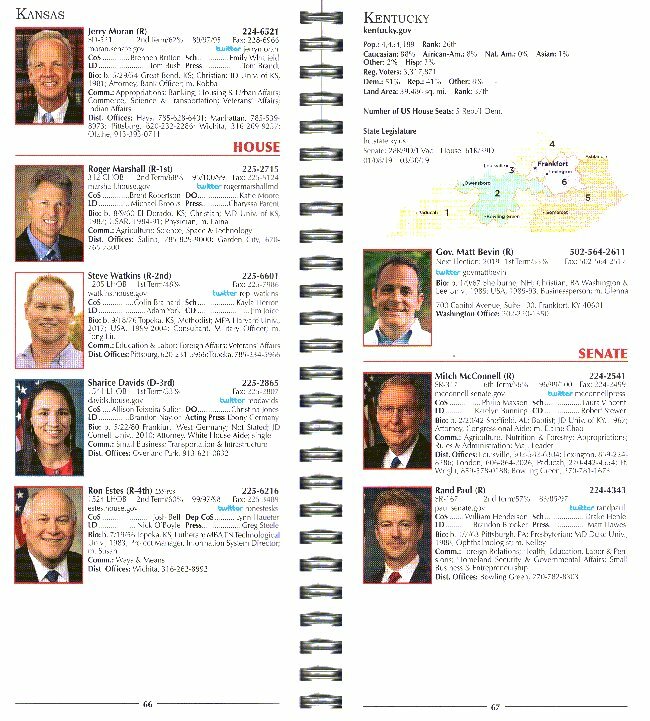 The 2019 Congressional Directory is wire-spiral bound for flat-fold reference and durability. Two formats are available: Alphabetical, and State-by-State. The Alpha Version is popular inside the Beltway. The Standard Version is popular outside the Beltway. 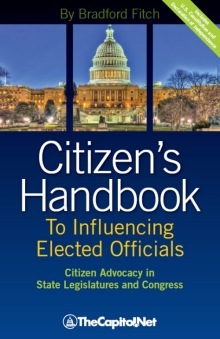 Includes state maps and delegations outlining congressional districts, major cities, home towns and more! Alpha Version: Alphabetical by last name - grouped by Governors and Senate and House Members, conveniently displayed in alphabetical order with state-by-state index. Standard Version: State-by-State, grouped by Governor, Senators, and Representatives listed under their state. Standard is State-by-State: Governor, Senators, and Representatives are listed together under their state. Alphabetical: Separate sections for Governors, Senators, and Representatives, then in alphabetical order by last name in their section. 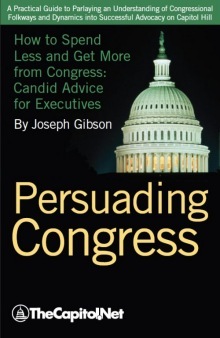 Have a suggestion for the Congressional Directory? If you have a suggestion for a change or addition to a future edition of the Congressional Directory, please contact us or complete our online suggestion form.